Summit Prep School | Life at a therapeutic boarding school in Kalispell, Montana. Why a Therapeutic Boarding School? Almost two decades ago my wife Jan and I shared a meal with two dear friends – Mark Hostetter and Alex Habib. Our conversation over dinner was about starting a program to help teens. This idea began as a dream of Alex’s and mine in college, and now in partnership with Mark and Jan it was about to become a reality. We had decided to start a nonprofit therapeutic boarding school. At dinner we asked ourselves the question one final time “Why a Therapeutic Boarding School”. It is now Summit Prep’s 15th anniversary. Looking back, how did we answer that question? I had run a number of psychiatric hospitals, so I knew the importance of short-term stabilization of psychiatric symptoms. But especially for teens, who are still developing emotionally and socially, short term hospitalization often didn’t seem to help them get “back on track” developmentally. There needed to be a longer-term option. Outpatient therapy was one such option, and as former outpatient therapists both Jan and I recognized the value of long-term relational outpatient therapy for struggling teens. But outpatient therapy didn’t seem enough for a number of teens, who increasingly struggled in spite of quality outpatient therapy. They needed more professional support and structure. So a longer term residential option offering both relational therapy with supportive structure seemed the best solution. But what type of residential option? Given that teens are in the midst of a developmental process, we also knew that the residential option needed to balance residential support with the experience of learning to live within a more normalized social and school environment. Teens need to learn to face these challenges in preparing for life, while still having the therapeutic support necessary to mitigate personal issues and to grow in maturity. So we needed to create an environment that would provide structure and supervision, without isolating teens too much from the realities of social and emotional life that they need to learn to navigate in life. In addition, we also wanted to help teens finish high school strong in preparation for college. Given all these factors, we choose to start a therapeutic boarding school. And although over the years we have continually sought to make improvements to our program, we believe we made the right choice 15 years ago. Summit offers a unique mix of structure, supervision, longer-term relational support and therapy, college-prep level academics, and the experience of living within a more normalized adolescent social and school environment. This is why we chose to start a therapeutic boarding school, and I believe why so many families have chosen Summit Prep. Thank you too for the administrative staff: the cookers, maintainers, plowers, drivers , admission folks, accountants and record keepers, office folk, nurse and the leadership thereof. If you decided to cease your efforts for a day, the whole institution would fall into chaos. Thanks and appreciation to Todd for his leadership in all seasons and realms of Summit life and through all challenges, large and small. Your efforts on behalf of students and staff are greatly appreciated. I appreciate your giving me the opportunity to speak to the community at his auspicious moment in my life. Rick and Jan Johnson , we owe you a debt of gratitude for your vision and skills in getting Summit up and running and playing an important role in supporting our efforts in making Summit work. Students , thank you for challenging me each day and for your energy cooperation and efforts. You have kept me on my toes and inspired me to be the best teacher I can be. We have been partners in education and I believe we have both benefitted from this relationship. Finally- and most importantly- I thank my wife, partner and best friend Liann. You inspire, support, encourage and challenge me each day. Your love, understanding and wise counsel sustain me. I am a fortunate man. Parents, thank you for your partnership and the trust and support you give us all as we pursue and explore together the best paths forward for your sons and daughters. Thank you for the hard work you put into this relationship and this process of growth and transformation. So… as I look around the room I reflect upon the truth that I am not here solely as a result of my efforts and choices. Indeed, I can not claim any achievement , any accomplishment in life as something of my own doing. All that I am is connected to over six decades of love, support, instruction , guidance, inspiration, and challenges from parents , family, teachers, coaches, mentors , pastors , priests , friends and neighbors. In addition, there have been those others who I’ve never met and who were not alive in my lifetime but, nevertheless, accompanied me on my journey. The historians, composers, storytellers, architects, musicians and the universe of others who were at my side expanding my understanding and imagination – they all helped me here. These inspired me and planted the seeds of my life’s aspirations. They- the living and the dead, the known and unknown- all have helped me become who I am and helped me achieve what I have achieved. You, sitting here in this room and all that have accompanied me leading to this moment are present around me and in me. I am here because you and they are here. You , graduates, are here because of the efforts , guidance, mentoring and inspiration of others. This graduation is a celebration of the roles of others in our lives and how community is at the core of our humanity. Despite all evidence to the contrary, we celebrate the individual as an autonomous being capable of controlling its own destiny. This assumption has never been true and runs counter to our nature and history as human beings. Though we are each unique individuals we are historically and biologically social creatures bound up in each others’ lives. The modern concept of individualism (a concept born out of 17th and 18th Century Enlightenment thinking and expanded upon over the past 300 years) frames human endeavors and achievements as the consequence of our individual choices, actions, thoughts and beliefs. But , in reality, each of these were planted in us, presented to us, cultivated in us and brought to fruition , in large part, by the efforts and influences of others living and dead. At most, we give our assent to the work and influences of others who have become part of who we are. My studies , teaching , observations and ruminations have led me to this truth: (facing the graduates) what seems like your success and accomplishment leading to this moment is rooted in a greater, more complex and interesting story. It is a story involving a small universe of others present now, here, at your side. Some- your parents, peers, mentors, therapists, teachers, guides- are here today with you, wishing you well. We celebrate with you. Others – the invisible ones- are also here participating in this moment. They have given you innumerable gifts that have made your presence here possible. They , with your participation and assent , got you here. I am confident that if your life and work in the world embodies these you will achieve happiness and fullness in your humanity. After all, it is humanity that got you this far. Now you must make your humanity a gift to those living and yet to be born; to those known and unknown . All the best. Thank you All. In March of 2017, I had the wonderful opportunity to travel to the Galapagos Islands with 9 Summit students and 2 staff. Going into the trip, I had my expectations. I was excited to see the animals, visit the beaches, and travel to a Spanish-speaking country. I assumed that we would learn about Darwin, tortoises, and numerous varieties of birds. What I wasn’t expecting were all the unplanned lessons that came from international travel. On our first travel day, we got delayed and quickly learned that South American time is different from North American time; life moves slower, all things come in their own time, and you must have patience. We had to learn to slow down and make the most of any situation, enjoy each other’s company, take naps, and observe our surroundings. Self-care is imperative while travelling internationally and especially in the intense sun of the Galapagos. It was interesting to watch how each student approached this scenario. Some were mindful of drinking water and using sunscreen from the first moment. Others needed constant reminders, and re-reminders. A few ignored directions on sun protection and then suffered the consequences of sunburn pain and extreme tiredness. The most interesting were those that still didn’t learn even after receiving sunburn – continuing to get burned day after day, then complaining about their comfort level each night. The interesting part was that these decisions seemed to be parallel to their therapeutic journeys back at Summit. Being open to other cultures is a daily decision while travelling. It is so easy to speak English, seek out American foods, and stay in tourist areas. The challenge is being open to the culture, exposing yourself to things that are unknown or uncertain, and learning from those things. Some of the students would only eat things that they knew or had tried before. Other students would try anything placed in front of them. Some would examine all foods skeptically, ask lots of questions, and maybe eventually try a tiny bite. Again each approach seemed to be a demonstration of their individual therapeutic journey. We learned so much while in the Galapagos about land tortoises, volcanoes, water preservation, blue footed boobies, and fruits of all kinds. But at the end of the trip, I realized that the real take away for me was how much we learned about ourselves in dealing with stress, delays, change, and uncertainty. I have to say that I was so proud of the students on this trip. While everything wasn’t picture perfect, they did their best to approach each day and each activity with a good attitude and an open mind. And really, what more can we ask from them?? I hope they each learned as much about themselves as I did. At the beginning of Summer Block a new schedule for the weekends was introduced. One of the changes made space for a team day each weekend, allowing for more team time. As a residential counselor, I work to use this time effectively to cater to the needs of the team. The girls on Team Neon were anticipating the upcoming shift and collaborated as a team to get in good standing to go off campus. I matched their efforts and planned a team day to reward their hard work; with an afternoon spent with Golden Retriever puppies. After packing lunches, the girls and I drove to my mom and her partner’s ranch in Whitefish. We were greeted by my parents, clear skies, a rambunctious Wiley (Father to the nine pups), and an exhausted Bitty (Mother/sole nutrition supplier for the NINE hungry pups.) After introductions the ladies made their way into the house to meet the puppies. The rest of the afternoon seemed to fly by. The girls spent hours cuddling, naming, and marveling at the newborn puppies. 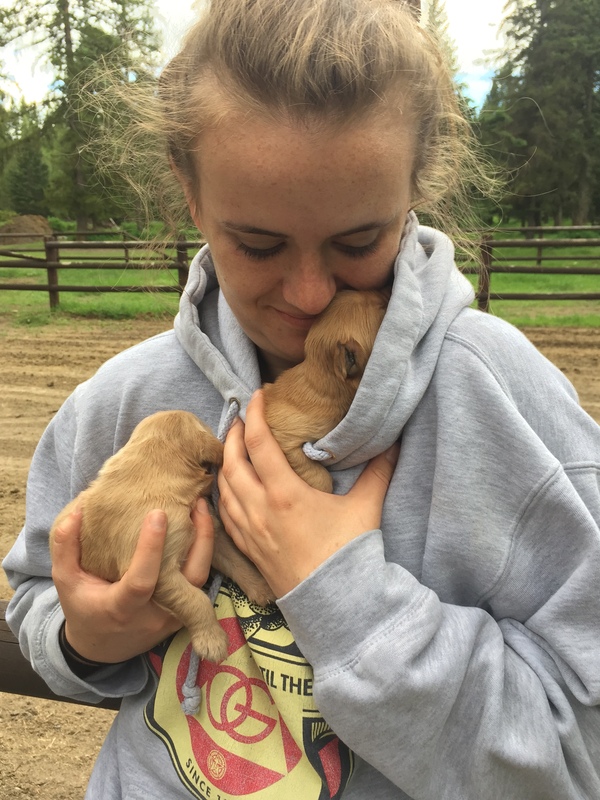 Team Neon noticed the sweet details of week old puppies, like the way they root around for their mother and the remarkable nurturing ability of a dog mother. The girls spent some time brainstorming names for the puppies and came up with a few names such as Oscar, Yoli, Ranger, and Phoebe. We commenced our evening by roasting hot dogs and making s’mores around the fire pit. After a day full of puppy breath and good memories we hopped in the car and headed back to campus. Spending the day with puppies was a day with Team Neon I will certainly not forget, however the real gift of the day was the tender hearted nature the girls brought to the day. We all left feeling rejuvenated and ardent for the future team days in store for us this Summer. On day one of the semester students drift in and find seats. In those minutes before the lesson gets underway there will be joking, mild horseplay, questions about what we will be doing in class today (“History / Government and lots of it” is my usual reply) and general chit-chat. Each student brings their own personality, level of interest, learning style and hopes and fears–about me and the course. They come in with a mixture of anxiety and ease, interest and apathy, focus and distraction. Some have cognitive challenges, learning disabilities, different levels of self-motivation and self-expectation. They have different stories and experiences of success and failure in school. Some arrive with documentation of challenges–ADHD, executive functioning, dysgraphia, dyslexia, NLD–you name it. So the question for me as a teacher is: How do I cover the curriculum in the necessary depth and vigor with such an array of characters, styles, attitudes, interests, learning challenges and abilities? My response, developed over decades of teaching is: Teach the individuals in front of you and sort out the particulars as you go. Look at their abilities while parsing through actual challenges. Motivate them outside of their demotivated state. Find their places of interest and curiosity, sometimes buried in apathy or lack of confidence. Instill confidence and competence to overcome habits of disengagement and failure. 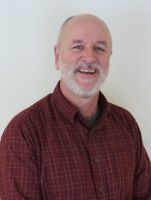 Mentor with patience, understanding and a sense of humor. Figure out what makes each kid tick. Keep an ongoing discussion with colleagues regarding your individual students, especially the ones who are struggling. Where there is a documented, identifiable learning challenge, it is up to the teaching staff to understand the nature of it and the extent to which applies to particular student. Collaboratively, with the student, teacher, key staff members and parents, set about finding strategies to help the student find the way forward in skills, content and intellectual growth. A teacher can be inspirational and transformative in a young person’s intellectual development. A teacher can help struggling students turn cynicism and negatively into skepticism and critical thinking. The beauty of History and the Humanities is that students are encouraged to disagree with, challenge and contradict authority as a way of getting to the truth. This is the heart and soul of liberal education and it is the heart and soul of what adolescence is all about. The fundamental task of a young adult is to find their own way in the world. I must sort out the “can’t do” from the “won’t do”. In other words, is this a learning challenge or are we looking at a decision by the student to not fully exert themselves? Over the years, I have observed that often documentation of learning challenges are inaccurate or incomplete, and it emerges that there are other factors at work in a student’s failure or underperformance. Students sometimes get a false “can’t do” message. As a result, the student may develop a “won’t do” attitude toward their studies. The designation is not destiny. Having a cognitive struggle documented does not mean a student cannot learn to perform at a high academic level – even without special accommodations and modifications. I have seen in almost every class I have taught students bearing some sort of learning disability label who have achieved at academic levels on par with their peers. Failure is an option. Students who receive support or have it available to them and choose not to take advantage of it, have experienced failure in the short and the long term. Students who do not make a consistent effort to study, to complete assignments or to engage in class can and do fail assignments and assessments. Occasionally, a student can even fail a course. However, I have never failed a student who demonstrated effort and the growth that accompanies it. Failure is a normal part of life and can be a good teacher if we are paying attention. Grit and grind prevail. Research indicates that resilience and hard work are the most accurate determiners of achievement. Some students need more academic support than others but in all cases, these two attributes will have the final say. In the end, we are the agents of our success. Self-expectation and self-motivation. What a student thinks about their ability and potential in school will guide their response to their academic challenges. Self -perception in this realm trumps actual ability and possibility. Kids get over it. Students’ challenges are often enmeshed in emotional, familial and developmental issues. As students start sorting out their issues they begin to become capable of working through their cognitive stuff. With help and feedback from their teachers and by persistent effort, they push through some of these difficulties and/or find successful strategies to move forward. The vast majority of our kids go to college and go on to live meaningful lives. Many of them struggled with learning challenges earlier in their lives. In light of the above realities, how are we to proceed as educators? Presented below are some key approaches and practices I’ve adopted. They are not unique to me but are informed by my years of study, observation and experience. While being aware of any challenges a student faces academically, do not put that at the forefront of your interactions with them. Relate to them, first and foremost, as fully capable intellectual people. Maintain high expectations of effort, quality of work and in-class focus and behavior. Be encouraging and helpful along the way but also firmly and consistently hold boundaries. Season this process with a sense of humor and calibrate the correction or consequence to the nature of the infraction. Establish a mutually respectful relationship with the student. Get to know her. Have conversations outside of class. Have an occasional laugh. Apologize if you feel you’ve made an error in your dealings and expect the same in return. Maintain passion for your subject area and for teaching. Relate, in every way possible, how what you are doing matters and how it can inform their understanding of the world and themselves. Help students turn cynicism into skepticism; opposition or contrarianism into critical thinking. When a kid is quirky or edgy or even oppositional, turn that into a positive force which critiques accepted thinking and opens the door to a different understanding. As I tell all my students: the mistakes you may have made and the pain and difficulties you may have experienced do not define you. They can, however, be good teachers and show you a new way of being in the world. Teachers, parents, therapists, mentors and peers will all become part of who our kids are and who they might become. Let’s make the most of the opportunity to put our students on a good path.